These three simple steps are all you need to know to enjoy a fresh and beautiful Christmas tree in your home this holiday season. Start with a fresh tree. You can test for freshness by gently grasping a branch and drawing your hand down the branch. If a few green needles or brown needles come away, that is nothing to worry about. If quite a few green needles come away in your hand, you may want to select a different tree. Once you have selected your tree, you will want to give it a fresh cut on the base of the trunk. An inch is plenty. This allows the tree to take up water while it is on display in your home. Get your tree into fresh water as soon as you get it home. Be sure to use a stand with a large bowl that can hold plenty of water. Check the water level daily (maybe twice a day on the first few days) and never let the level of the water go below the base of the trunk. 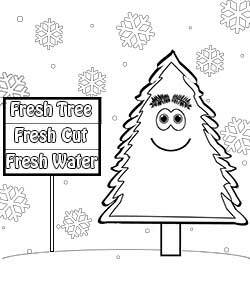 Plain water is best for your tree – no additives needed. Display your tree away from heat sources such as fireplaces, heat vents or windows with southern exposure. All of these will dry out your tree prematurely. Use only UL certified lights on your tree and never leave lights on when you are not home. Follow these tips and enjoy your fresh Christmas tree this season! Hey kids, would you like some cute coloring sheets? 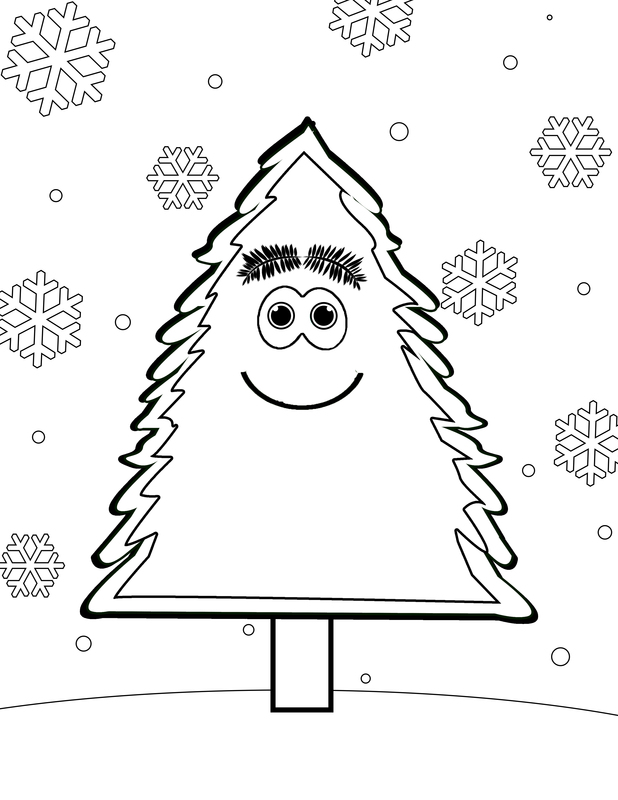 Click the image to download the coloring sheets.